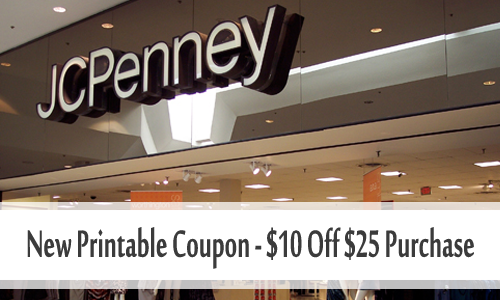 Grab a new JCPenney printable coupon and get $10 off any $25 purchase in-stores all weekend. The coupon is good through Monday November 12th. You can also get the savings when you shop online with coupon code TOSAVE6 at checkout. Or get 25% off any $100 order with code 23TOSHOP.